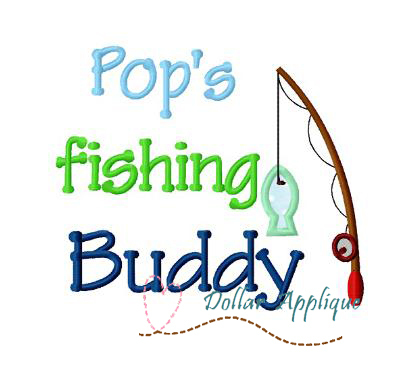 Pops Fishing Buddy Applique - 3 Sizes! Great for fishing with Pops! The fish is applique. Daddy's Fishing Buddy Applique - 3 Sizes! Daddy's Fishing Princess Applique - 3 Sizes! Fishing 2 Applique - 3 Sizes! Finish Size 3.72" x 3.19"
Finish Size 5.60" x 4.80"
Finish Size 6.53" x 5.62"